Click here to connect to my Customer Service Page. My contact information is also listed at the bottom of each website page. General Gift Consultation is always free. Please call my Customer Service line , email me, or submit a form below. Save time looking for gifts with my Personal Shopper Service! 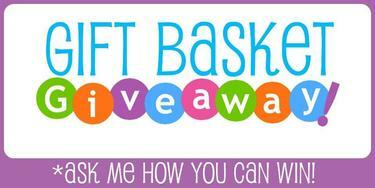 Fill out a form below and I will send you up to ten gift links Free of charge! 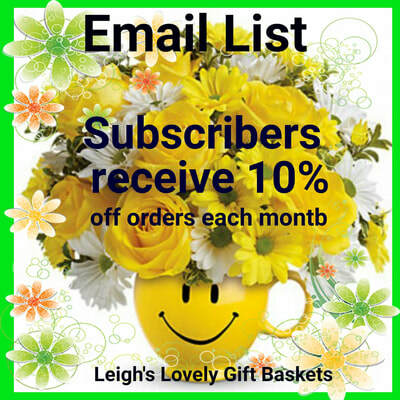 Each page on my La Bella Baskets website offers a " Wish List " link. Save gifts to a list and share your list with others who make wish to buy gifts for you! This banner connects you to the Sweet and Savory tray in the upper left corner. 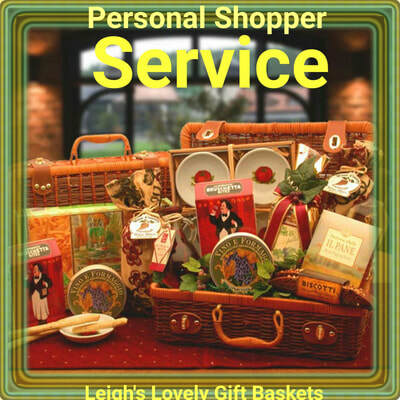 Leigh's Lovely Gift Baskets offers the three customer service options shown above at no charge. 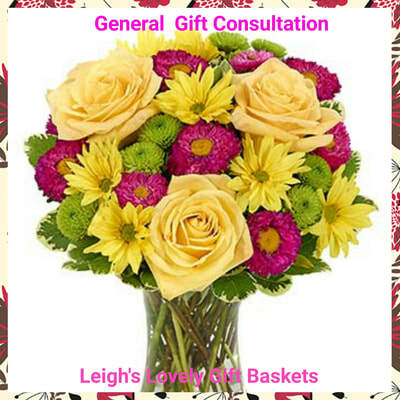 Click on the General Gift Consultation box under Customer Service Options in the form below to select from the drop down menu. I will be in contact with you soon. 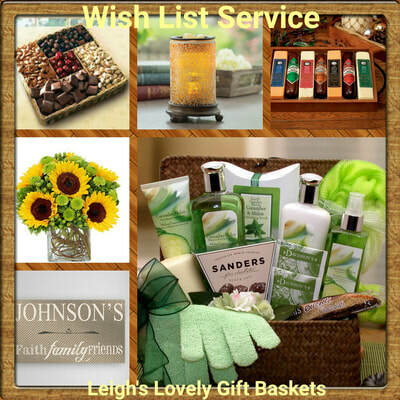 I am looking forward to assisting you with your gifting needs! Click on the drop down menu below to choose your desired service form. Hours: 9 am- 6 pm Eastern. After 6 pm, leave a voicemail or fill out and submit a customer service form and I will be in touch with you within 24 hours. Thank You! 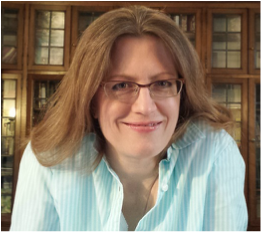 Consultant and Executive Platinum Director at La Bella Baskets, LLC.